Automakers have started using electric compressors to help eliminate lag in their turbocharged engines. The first with the technology was Audi, which introduced it in its SQ7 TDI high-performance diesel SUV sold overseas. The SUV’s engine features a pair of turbochargers, a diesel V-8, a 48-volt electrical system, and an electric compressor, also referred to as an electric supercharger. Thankfully we’re not asking you to wrench on it right now. Instead, we have Jason Fenske from Engineering Explained to, well, explain what’s going on with this setup. 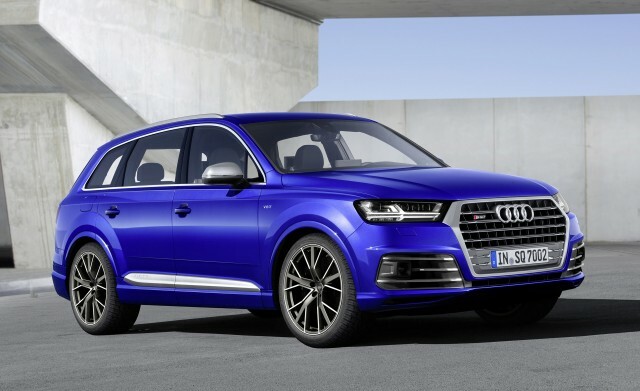 The SQ7 TDI’s engine is a 4.0-liter twin-turbocharged V-8 delivering 435 horsepower and a massive 660 pound-feet of torque. Normally on a system like this, you’d expect to hit the throttle and then wait. You’d be waiting for the boost to pile on before the welcome rush of torque ushered your SQ7 at warp speed toward the horizon. Audi has worked to eliminate the waiting issue, i.e. the dreaded turbo lag. The automaker has done so by employing an electrically powered compressor that can provide some boost virtually in an instant—we’re talking less than a second. With this setup, the SQ7 can generate its peak torque from as low as 1,000 rpm. If you’re at a standstill and you mash the throttle, you’ll run from 0-62 mph in just 4.8 seconds. How this process works is thanks to the electric compressor, which in turns owes thanks to the 48-volt system. The powerful 48-volt system provides power to a variety of systems through the car, including powering a 10-horsepower electric motor used to spin the compressor at speeds up to 70,000 rpm. From there the compressor uses its whirling witchcraft to provide on-demand boost after which the conventional turbochargers take over. .
It’s a slick system so it’s no surprise that other automakers such as Bentley and Mercedes-Benz have also picked it up.